Implementation challenges have made the Common Core look more and more like Obamacare. … States that raced to adopt the standards in 2010, including Oklahoma, Georgia, Florida and Alabama, have expressed second thoughts on participating. In New York, Common Core critics have called for the resignation of education commissioner John King after he threatened to cancel a series of town halls on the topic. At a convening hosted by the Education Writers Association earlier this week, the president of the American Federation of Teachers declared that the implementation of the Common Core is “far worse” than the troubled launch of Obamacare. Glenn Reynolds finds it interesting “that the opposition comes from a broad political spectrum”. U.S. Education Secretary Arne Duncan probably regrets injecting race into the debate with this clumsy declaration. He later “apologized” by basically slapping “himself on the wrist for calling out one group instead of everybody who objects to top-down standardization”. The reality is that education standards have fallen. As a “suburban mom”, I agree with Duncan in feeling frustrated at “the educational reality” of low standards that falsely show our children are achieving at high levels. At the same time, I sympathize with the opponents of the top-down, heavy-handed design and implementation of Common Core. Its similarities to Obamacare leave Common Core more open to criticism. In his blog post about problems with Common Core implementation, Andy Smarick writes about the federal government’s promise that “If you like your federal education policy, you can keep it!” At one point the Department of Education found itself “offering states a waiver from their waivers“. 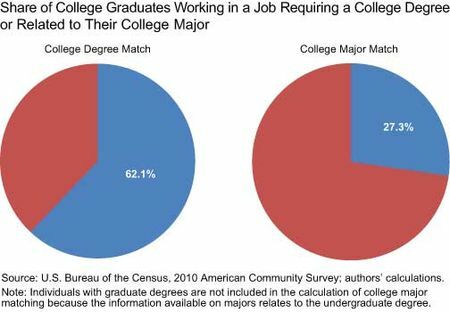 It turns out that employers are looking for the skills that liberal-arts studies instill — critical thinking, logical reasoning, clear writing. College graduates who tested best at liberal-arts skills were “far more likely to be better off financially than those who scored lowest. The National Association of Educational Progress indicates that literary proficiency among adults with “some” college is declining. Richard Arum and Josipa Roksa, authors of the 2011 book “Academically Adrift: Limited Learning on College Campuses,” found that 36% of college students made no discernible progress in the ability to think and analyze critically after four years in school. You can minor in “Social and Economic Justice” without ever studying economics. For many students, college is a smorgasbord of easy courses chosen for their lack of academic rigor. There is no serious “core curriculum.” Students spend limited time studying. Faculty and administrators make matters worse by allowing students to fill up their time with courses like UNC-Chapel Hill’s “Dogs and People: From Prehistory to the Urbanized Future” and “Music in Motion: American Popular Music and Dance.” When students can get a minor in “Social and Economic Justice” without ever taking a course in the economics department, it’s hardly surprising that businesses aren’t lining up to hire them. Would you rather have a dumbed down curriculum for your children or a content-rich, rigorous one? Which of these two examples would you rather have for your children’s middle or high school English course? They are pulled from two different teacher guides. 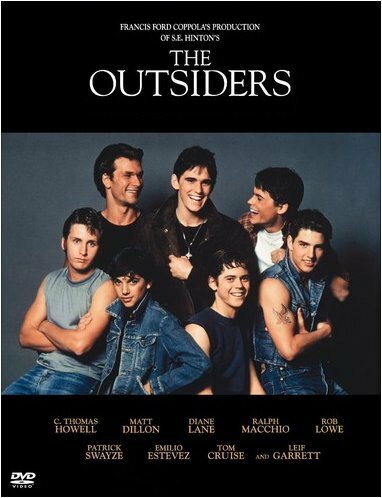 Example A – five lessons that cover a section of The Outsiders. The Outsiders, a young adult novel with a 5th grade reading level, has become a standard assignment in many public schools. These lessons feature cooperative learning, hands on projects, and self-reflective writing. … For this project, make a collage or montage of what is tuff. Suggested materials include: a large piece of posterboard for the display; magazines, newspapers, and other print media; fabric samples; jewelry; nail polish and lipstick; pictures of tuff people. (Not very gender neutral?) The finished display is shared with the class. Students are assigned to work in small groups to plan how they would manage if their parents left them alone for a month. They assign jobs to each member, plan meals, make house rules, schedule activities, determine emergency procedures, and resolve conflicts. This activity relates to the main characters in The Outsiders who managed to live without their parents. The two other lessons included a social science group project and a quiz. Example B – three lessons that cover the Gettysburg Address. The Gettysburg Address (11/12th grade reading level) is typically studied in history class, but these lessons are intended for an English course. Students are divided into groups and each group is assigned to “translate” one sentence from the Gettysburg Address. Students will use a dictionary and/or thesaurus to rewrite the sentence in their own words. 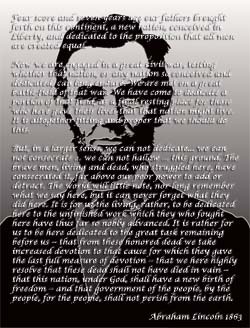 These student sentences are compiled, and the meaning of Lincoln’s speech is discussed in class. Afterwards students complete a worksheet and a quiz that tests their understanding. alliteration, and repetition. Using a worksheet, students are asked to identify examples of these devices and then create a persuasive speech modeled on Lincoln’s presentation. It is suggested that students present their speeches to the class. This exercise takes the form of a respectful debate, where students are asked to discuss ideas from the Gettysburg Address. They select areas of agreement and disagreement, using the text to support their ideas. They are instructed to focus on ideas not on personalities, and to find areas of common ground among other class members. Apply word analysis and vocabulary skills in comprehending the speech. Write a concise persuasive speech. I would rather have the Gettysburg Address lessons for my own children. From what I have seen, The Outsiders lessons are more typical of public school English curriculum. Students spend hours and hours on poster projects and group projects, which apparently tend to lower IQ. When I say that I believe more rigorous curriculum could improve SAT scores, these examples are what I have in mind. Class days spent on poster projects, group discussions about menu planning, and uncorrected personal journals are not likely to teach the skills measured by SAT exams. High school students are assigned too many fifth-grade books, according to Sandra Stotsky in Minding the Campus. According to Renaissance Learning’s 2012 report on the books read by almost 400,000 students in grades 9-12 in 2010-2011, the average reading level of the top 40 books is a little above fifth grade (5.3 to be exact). While 27 of the 40 books are UG (upper grade in interest level), a fifth-grade reading level is obviously not high enough for college-level reading. Nor is it high enough for high school-level reading, either, or for informed citizenship. Closing the performance gap means dumbing down the curriculum. … national scores in reading have been moving downward for almost 20 years. Average scores on the grade 12 NAEP reading tests were lower in 2009 than in 1992. In addition, average scores on the SAT fell in 2011, “with the reading score for the high school class of 2011 falling three points to 497, the lowest on record,” and the writing score continuing its decline since the writing test was introduced less than a decade ago. The latter trend is to be expected. As research consistently shows, writing is dependent on reading, and as average reading levels decline, so will writing achievement. The classics are simplified for high school students. … Many high school students are now reading “classics” rewritten at a second-, third-, or fourth-grade level (e.g., Harriet Tubman and the Underground Railroad, A Tale of Two Cities, Romeo and Juliet,The Time Machine, A Midsummer Night’s Dream, Jane Eyre, Dr. Jekyll and Mr. Hyde, The Scarlet Letter, and A Christmas Carol), although only Romeo and Juliet is on the top 40 list for all high school students. In a few years, struggling readers may be more familiar with the “classics” as rewritten than regular readers are with them as written. This is perhaps the most appalling insight I had after looking over these lists. And some graphic novels are now required reading in college-sponsored summer programs for incoming freshmen, according to a 2011 “Beach Book” report. It is still unclear if the new Common Core Standards will raise reading levels. We’ll find out when we can apply a readability formula (with a grade-level placement score) to the reading passages selected for the common tests. If most are well above the fifth-grade reading level from grade 7 on and the cut score by grade 10 or 11 reflects high school level reading, perhaps we can begin to turn the ship of state around 180 degrees, so to speak. This republic cannot flourish in the 21st century, no matter how much time English or reading teachers spend teaching “21st century skills” with texts deemed UG, if the bulk of our population is reading at or below the fifth-grade level…. The text complexity of K-12 textbooks has become increasingly “easier” over the last 50 years. The Common Core Standards quote research showing steep declines in average sentence length and vocabulary level in reading textbooks. 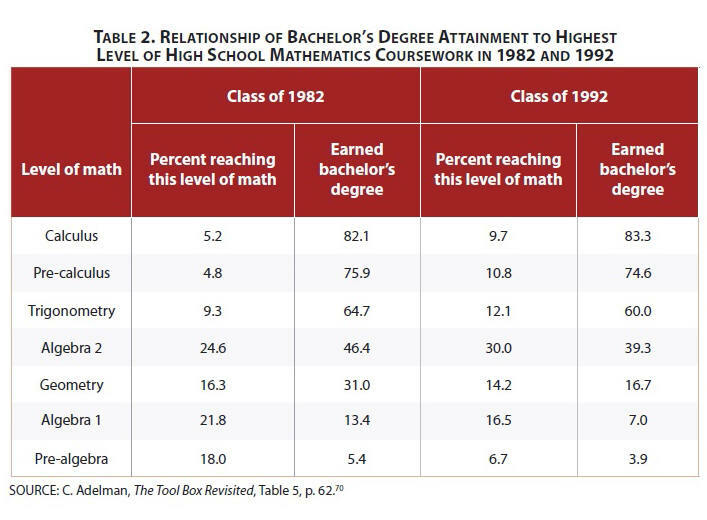 The text demands of college and careers have remained consistent or increased over the same time period. College students are expected to read complex text with greater independence than are high school students. As a result, there is a significant gap between students’ reading abilities and the text demands of their postsecondary pursuits. Research shows that this gap is equal to a Lexile difference between grade 4 and grade 8 texts on the National Assessment of Educational Progress (NAEP). I was pleasantly surprised by this reading list from a local freshman English class. Here are most of the books they read this year as a class, along with their Lexile scores. Hey college professors, the student who wrote this sentence in the short response section of the New York English Regents exam may be coming to your classroom next year. These two Charater have very different mind Sets because they are creative in away that no one would imagen just put clay together and using leaves to create Art. According to Michael Winerip of the NY Times, this writer has a “pretty good shot” of passing the New York English Regents exam, an important criteria for graduating high school. After reviewing the questions and and grading standards, Winerip concludes that officials have opted to dumb down the state tests. The current state English exam appears to be the easiest in memory. From what I can tell, it would be very hard to get zero credit for the short response questions of the test. Here’s the criteria from the scoring guide. According to these guidelines, the response example given above is coherent and deserves a score of 1. Based on other examples in the teacher’s scoring guide, it appears that as long as the student makes some reference to the text in question and demonstrates even a little understanding of it, he will receive at least a one-point score. There are no examples of “incoherent” responses in the guide, a possible indication that the bar is set very low for this category. I remember looking at the state tests for elementary students and coming to a similar conclusion. In particular I found that although it was easy to give some credit for each individual rubric factor and end up with an acceptable score, it was possible that the resulting paragraph in its entirety would hardly have qualified as an example of competent grade-level writing. Funny how that worked. UPDATE: Catherine at Kitchen Table Math teaches college composition and says these children have been cheated, and so have we.